At about a half-mile in length, the elaborate cast-iron fence that surrounds the Salem Common is one of Salem’s oft-overlooked treasures. Constructed in 253 sections, each about eight feet long and five feet high, the fence was built in 1850 at a cost of $7,000. The Common it encircles is approximately 9 acres. Prior to the addition of the cast-iron fence, the Common’s fence had been made of wood. 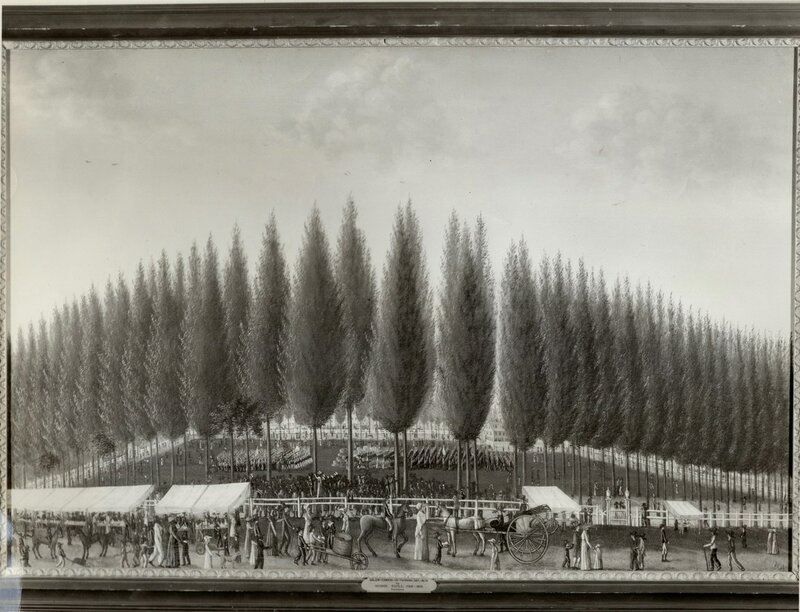 “Salem Common on Training Day,” an 1808 painting in the Peabody Essex Museum by George Ropes, Jr. shows that the Common in the Federal Era was bounded by a white rail fence with its gateways flanked by urns on posts. This was constructed in 1801 at the largesse of Elias Hasket Derby, when the Common was renamed Washington Square. On close inspection, the level of detail in the cast-iron fence is quite engrossing considering the massiveness of its overall scope. The fence has octagonal posts topped by pineapples, and the balusters have two distinct spearhead shapes. The bottom rails contain a series of saltires with flowers in the center. 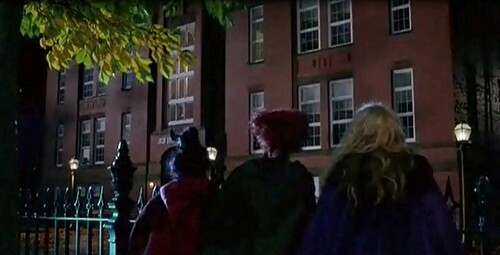 The 1993 film Hocus Pocus gave the fence some time on the big screen in a shot of the Phillips School, followed by an ersatz version imagined on a Hollywood sound stage. We, collectively, value the Salem Common because of its public nature and ownership, and it is this same characteristic that creates challenges in preserving the fence. In 2012, horses participating in the anniversary of the First Muster were spooked and pulled down four sections of the fence. Many other sections had been damaged by weather and time...and snow-plow drivers. Currently, Community Preservation Act (CPA) funds are being used to restore the fence. In 2013, 20 sections of the fence and three gated entrances were restored (using Capital Improvement funds), in 2015 a further 22 sections were fixed and in 2018/19 more work is planned to replace large sections of the fence that are missing. It is easier to preserve than to replace, therefore Historic Salem supports ongoing efforts to make sure the fence is not damaged through carelessness or vandalism. “Salem Common on Training Day,” an 1808 painting by George Ropes, Jr.